NHRA Chassis certification will be offered during the Roadster Show weekend. Set for March 8-10 at Expo Idaho, the show will kick off its 47th year and it’s long been a great way to kick those winter blues. Racers will be able to take advantage of the NHRA Chassis Inspection seminar for all race cars that run 9.99 or quicker (or 135 mph or faster) on the south end of the Fairgrounds facility in the main spectator parking lot. 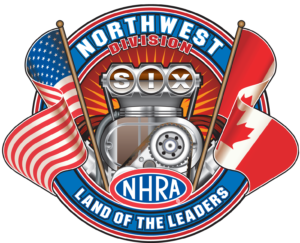 As a courtesy to the NHRA and Firebird personnel who will be on hand for the Certification day, please give us a shout at 938-8986 (or email us). We’ll be glad to add your name to the list. Chassis certification will be available on Saturday, March 9th. Hours will be offered from 9 am till 3 pm. Sportsman chassis tag stickers run $170, which are valid for 3 years. For those interested, Extended Tech Inspections (ETI) will also be available during this same time frame. In addition, Firebird will have a booth in the Roadster Show. You’ll have an opportunity to catch up on what’s been going on during the off-season. We’ll be glad to answer any questions you may have for the 2019 Season. Additionally, we will have hard copy NHRA Rule Books and Junior Dragster Books for purchase at the show.